Favela Brass is not the most conventionally funded charity in history. From our triple carnival party (Rio, New Orleans and Caribbean) at Liberty Grill in Doncaster, to our ongoing weekly curry club in the middle of a Brazilian favela - we like to do things a bit differently. Following on in this tradition, then, is the Sandhouse Stompers Coast to Coast Stomp. 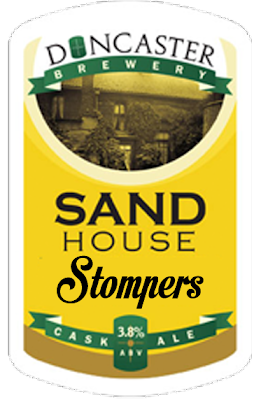 Ever since a fundraising event at Doncaster Brewery, where the brewery kindly donated the proceeds of sales of their delicious Sand House beer to the project, our dixieland jazz band has become the Sand House Stompers. For 9 days in July next year this group of 6 musicians will be walking across the breadth of the North of the UK, from Morecambe to Whitby (170km), playing dixieland jazz at various points along the way, in order to raise money for Macmillan Cancer Support and Favela Brass. We hope to raise as much money as possible for these two fantastic charities through sponsorship, musical performances and impromptu busking en-route, but we need your help! If you have any ideas of where we can perform (pubs, halls, galas, village greens, Bar Mitzvahs), can offer us a field to pitch our tents, can provide us with pies or frosty libations, we would love to hear from you. 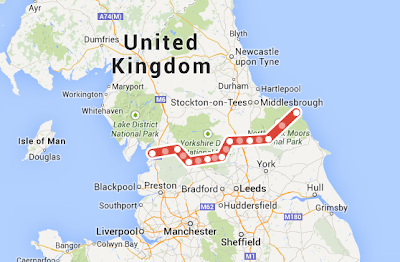 If you want to walk with us, play with us (stop sniggering Stretton!) or rattle some collection boxes for us you are more than welcome to join us.